TENS for spinal stenosis is yet another of the seemingly endless variety of symptomatic treatments which can help patients to manage pain, despite having no chance of providing a cure. 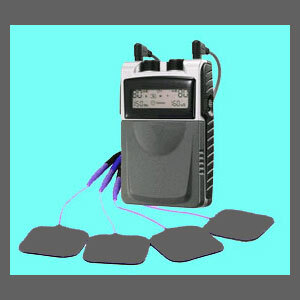 TENS, also called transcutaneous electrical nerve stimulation, is a therapy modality which uses electrical impulses and currents to disrupt the pain signals which travel the neurological pathways of the body. Research on the effectiveness of TENS treatment is very controversial and potentially biased in some cases, with few quality studies available demonstrating any definitive benefits. That being said, TENS is wildly popular with professional caregivers, and patients alike, and is one of the few treatments which have successfully transitioned from the doctors office into home remedies which might actually work. This investigational study details the use of TENS for a variety of stenosis concerns in the human spine. Transcutaneous electrical nerve stimulation is a long and complicated name for a very basic premise: Nerve signals which move throughout the body are electrical in nature. Humans are actually rather like batteries in this regard, since they store and generate energy for many life processes. TENS units are the devices used to provide the treatment. These products also generate electrical pulses or currents which are applied transdermally (through the skin) to intercept and interrupt the pain signals from reaching their intended destination: the brain. TENS is noninvasive and is applied using sticky patches which adhere to the skin. Usually, a conductive jelly helps transfer the current to the patient and the recipient can simply relax and allow the treatment to work without having to do much of anything. The machine does all the work. TENS can be provided by doctors, therapists or at home, by the patient themselves. Many units are easy portable for on-the-go treatment. Home units can be quite inexpensive. For a one time investment, treatment can be rendered for years. 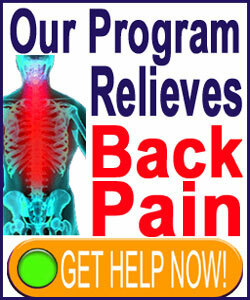 Some studies show that many patients report good results. There is really very little risk and only a few patients may be contraindicated from this therapy option. TENS may allow patients to decrease or even eliminate their need to take hazardous pharmaceutical products for pain relief. Professional sessions can be costly. Many patients report no relief. There is not much objective data of the true efficacy of the treatment versus possible placebo effect available. Treatment is sometimes uncomfortable and can even be painful. Some patients may suffer serious health risks, including patients with heart problems, epilepsy and other conditions. Many home-use devices are cheaply made and are really not more than expensive toys. Let the buyer beware. My personal thoughts on TENS are based on a long history of having the treatment provided to me by numerous chiropractors. I found it very annoying and never beneficial in any way. I have spoken to others who feel the exact opposite. Some people actually like the feeling and find tremendous benefits. So, although I am not a fan, I do not say anything bad about the treatment either, expect to state the truth that TENS will never cure you, but might provide temporary relief. As long as you know the limits of the treatment and speak to your doctor to see if it is right for you, there is really no reason not to give it a try, as long as you are indicated as a candidate. Let me know how it works for you.